The HUAWEI MateBook D 14” features iconic metal surfaces, adding that extra touch of sophistication, while the 1.45 Kg weight and 15.8 mm thickness keep you mobile at work and play. The fully-charged 57.4 WH* battery powers your digital life, aided by the HUAWEI smart power-saving mode increasing power usage efficiency by 15%**. **The 15% improvement measure is benchmarked against battery performance without the use of smart power management features. Actual battery life will vary depending on configuration, environment and actual usage. Maximum capacity will naturally decrease with time and usage. 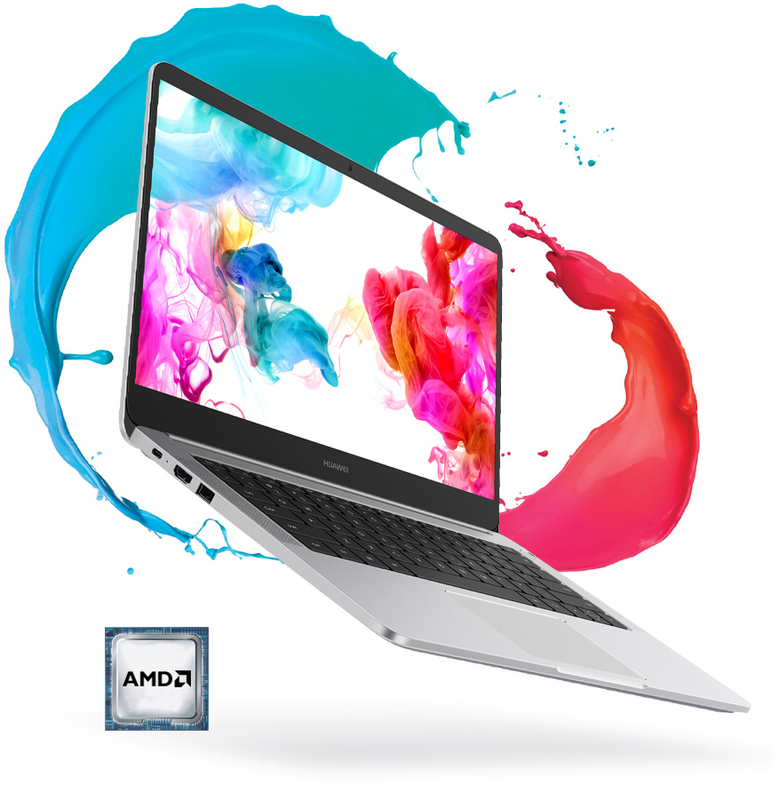 Equipped with the latest AMD Ryzen 5 2500U Quad-Core processor and eight thread, and the revolutionary Radeon™ Vega architecture-based graphics, HUAWEI's MateBook D 14" offers blazingly fast performance when you work or play. *Performance indicators based on AMD performance benchmarks. Quad speaker split-frequency offers woofers with deep, resonant bass and tweeters with clear treble for a crisp, immersive sound experience. Hear in 3D with the Dolby Atmos® Sound System that makes sure distortions are minimized, letting you hear every detail from all angles.